Dressage4Kids, Inc. is responsible for many events throughout the year. Our unique event is our show, Lendon’s Youth Dressage Festival in Saugerties, NY, and we now have similar programs in Michigan and Georgia. Our Weekend Equestrian Program accommodates youth and adults surviving the winter in the northeast. Our D4K TEAM Program (Teaching, Education And Mentoring) has replaced our EDAP program, as the program has grown exponentially. Lendon conducted 22 of the programs last year and she and others will be doing even more in 2017.The Courtney King-Dye Horsemastership Clinic is a highlight at the end of the summer, featuring Courtney and other well-known professionals. The Winter Intensive Program (WIT) is nationally noted and we are just finishing up our fifth year of this three-month program held in Wellington, Florida. In addition, the Lendon Gray Scholarship Funds, which we award throughout the year, help youth and aspiring young professional riders defray the costs of training and professional development programs. 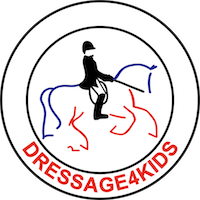 It is wonderful to know that benefits from Dressage4Kids go on throughout the year and we could not do it without your support. Contact Lendon Gray or Fern Feldman, Vice Chairman of Dressage4Kids, if you are interested in becoming a sponsor of Dressage4Kids. 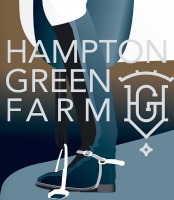 Thank you to our Lendon's Youth Dressage Festival Sponsors! For a list of our Sponsors, please visit youthdressagefestival.com.